It’s been nine months since Japan’s Tohoku earthquake anchored the world’s attention and tsunami became an all-too household word. Nine months, and save for Fukushima prefecture, things are largely back to normal; exports are rebounding, the Yen rising, and another Prime Minister has been recently appointed. 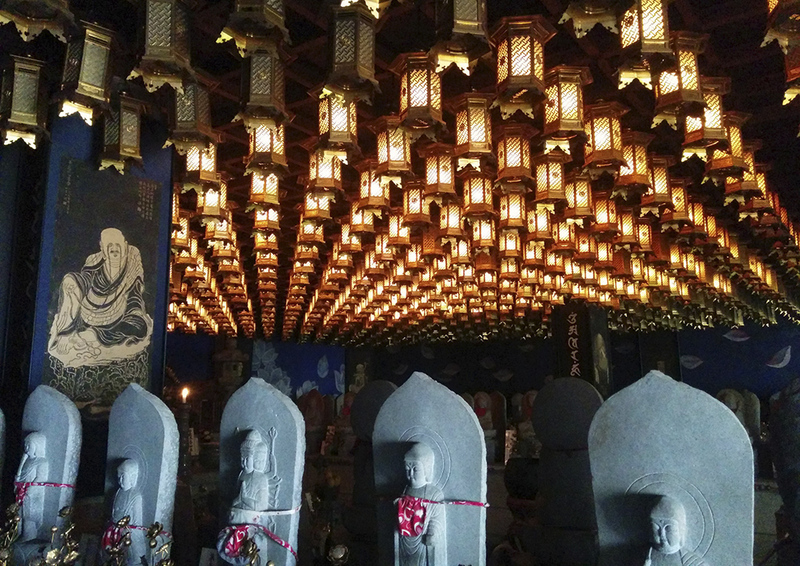 Yes, normalcy has returned to Nihon, though the throngs have not, making it an ideal time to visit, and an even better time to veer off the beaten path. Everyone who dreams of seeing Japan inevitably visits Tokyo and Kyoto, and most come with hopes of experiencing the real, genuine country. But authenticity, in these two well-oiled destinations, can be a little difficult to find. For many Japanese, expats, and tourists alike, the soul of the country is hardly center stage, but instead found in its smaller cities and towns. Two of these cities, Kagoshima and Hiroshima, lie in the south of the country and make for a memorable week away from Tokyo. 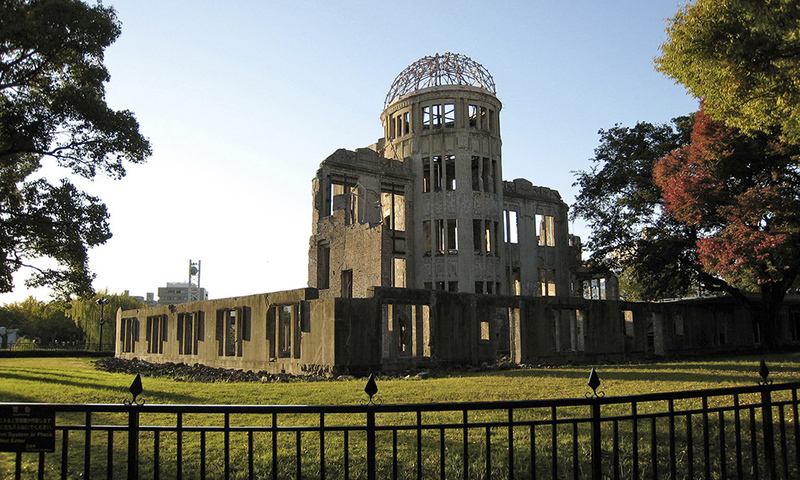 Everyone’s heard of Hiroshima, though there’s much more to this city than historical tragedy. The city has numerous sobriquets, known as the City of Water, a reference to its six rivers, and the City of Peace, for more obvious reasons. A compact, modern, and very green metropolis, Hiroshima is a year-round destination for Japanese pupils, pacifists, and students of history alike. Dating from the 16th century, the city was a castle town until that fateful day in 1945, when a USAF B- 29 Superfortress dropped the world’s first nuclear bomb. “Little Boy” detonated roughly 2000 feet above the center of the city, destroying nearly everything within a square mile except for the Industrial Promotion Hall. Designed by a Czech architect, the building, quite famous in its time, has been left largely untouched, and is now the symbol of the city and cornerstone of Peace Memorial Park. A UNESCO site, the A-Bomb Dome and park occupy the center of the city, with the grounds host to numerous memorials and shrines, including the must-see Peace Memorial Museum. Just northwest of the park lies Hiroshima- jo, a hirajiro, or flatland style castle. Rebuilt after the war, it now houses a museum showcasing the region’s pre-war history. East of the castle, on the Kyobashi-gawa river lies Shukkein garden, also rebuilt. A great example of tsukiyama (miniature landscape) style, Shukkein (literally “shrunken scenery garden”) is modeled on Xihu (West Lake), in Hangzhou, China, and is a great place to decompress after the gravity of the park. 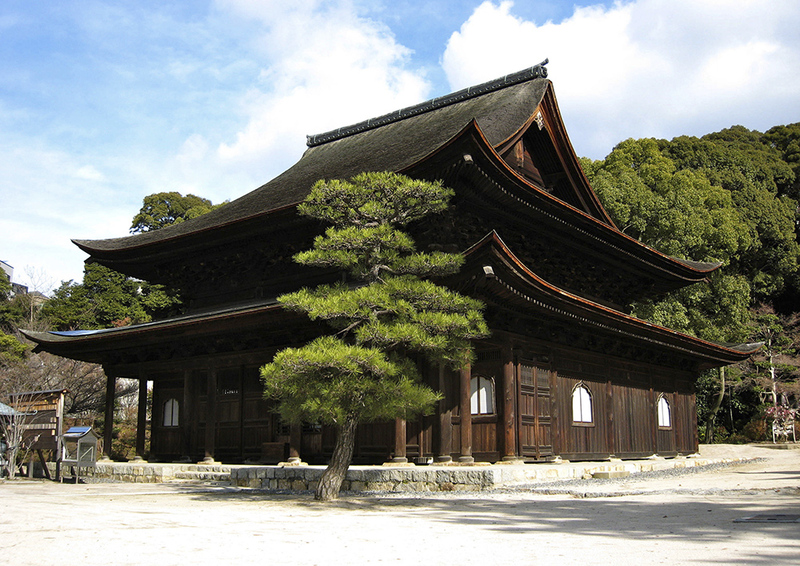 Lighter history can be enjoyed northeast of the city at Fudoin temple, Hiroshima’s only Designated National Treasure. Built between the 12th and 13th centuries, Fudoin’s main hall is the largest work of kara (medieval) architecture remaining in the country. 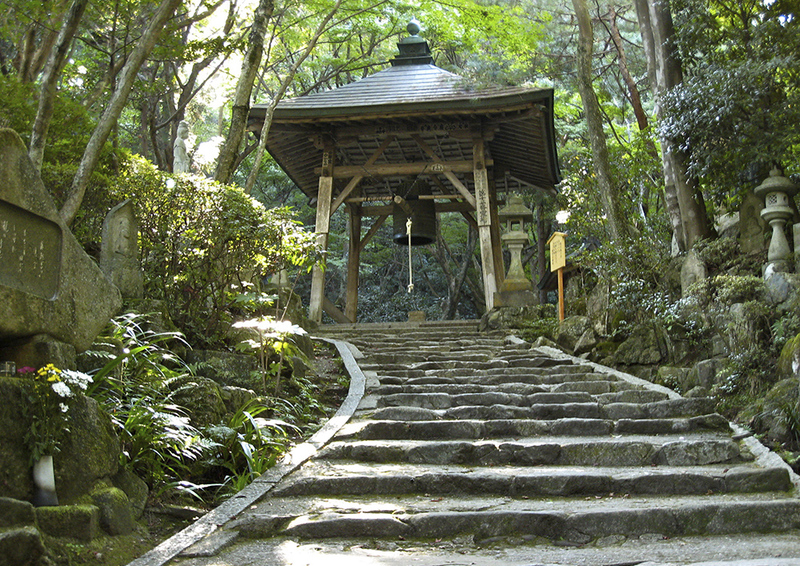 Mitaki, to the city’s northwest, is another temple offering repose. Built in the 8th century in Wakayama, the pagoda was dismantled and shipped to its present location in 1951 as a monument to the dead. 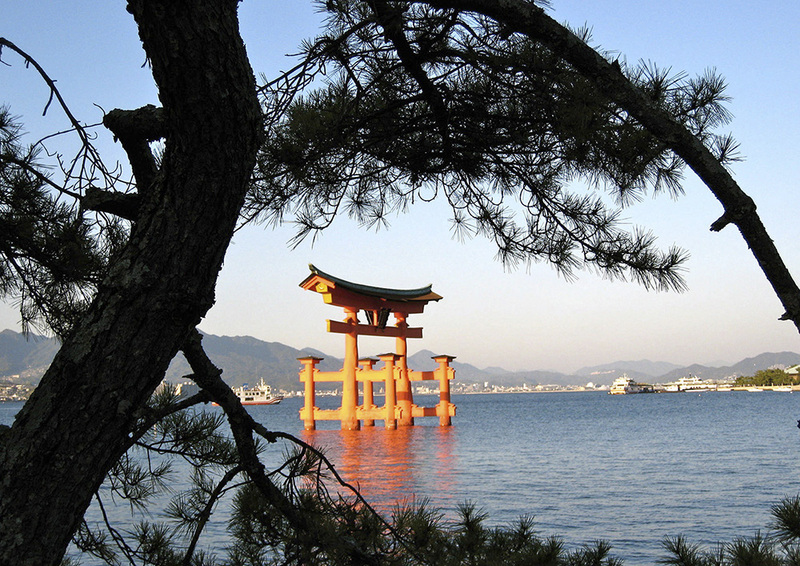 Both Fudoin and Mitaki get their fair share of visitors, but nothing like the throngs that converge on Miyajima island to the south. 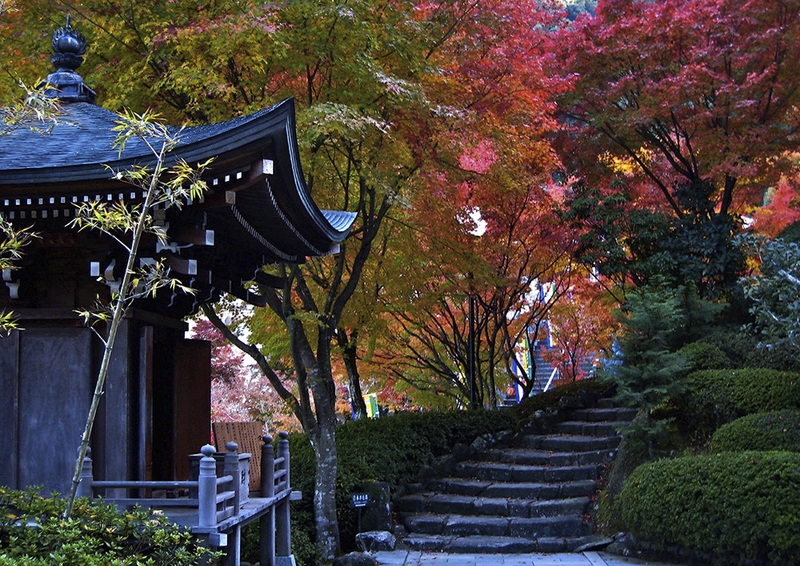 Home to a UNESCO site (Itsukushima shrine) and one of the country’s Nihon Sankei (Three Views of Japan), the island is popular year round but especially in autumn, when thousands of Japanese come to view the changing leaves. 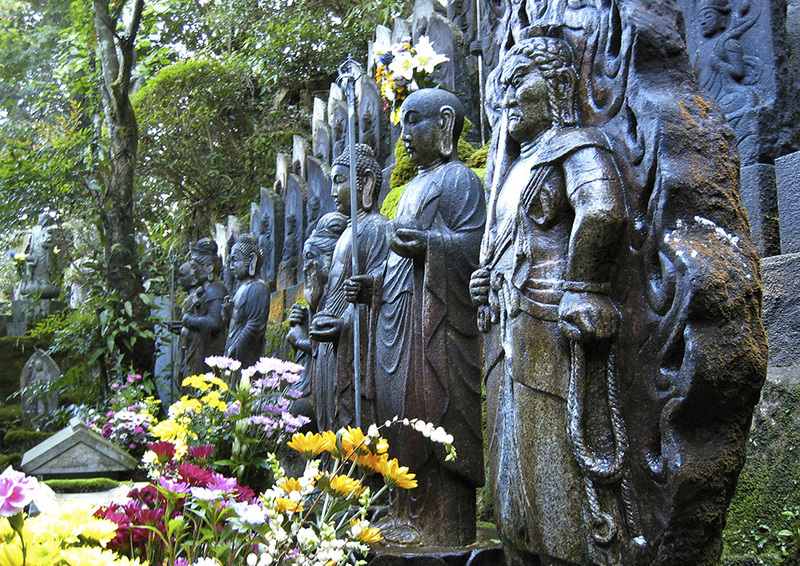 The entire island is considered holy, not just its 6th century shrine or 12th century Shingon Buddhst temple, Daisho-In. A hike to the top of Mt Misen (about an hour) can be rewarded with a sampling of the island’s delicacy, momiji-manju (maple-leaf cake), both popular tourist activities. Though not the big culinary player Osaka is to the north, Hiroshima is nevertheless famous for several gastronomic delights. The prefecture is Japan’s largest producer of oysters, its sake is distinct and widely championed, and the local twist on okonomiyaki, Japan’s famous crepe/pizza, is a point of esteemed local pride. Kagoshima, historically known as Satsuma, is Kyushu’s fourth largest city and Japan’s southernmost metropolis. 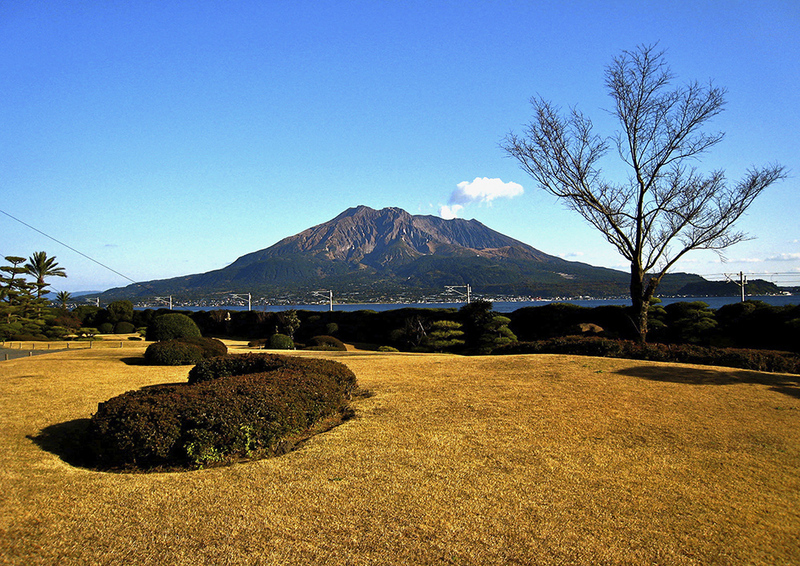 A castle town dating from the 14th century, Kagoshima lies in the northeastern part of the Satsuma peninsula facing Sakurajima, a stratovolcano 4 kilometers offshore. The prefecture is subtropical, enjoying a sunny reputation and average temperature of 18 degrees. Kagoshima is sister cities with Naples, among others, and is often referred to as the Naples of the Orient, owing to its climate, bayside location and volcano, which has been erupting almost constantly since 1956. The city is famous for many things; politicians, revolutionaries, the world’s largest radishes and smallest oranges, sweet potatoes, shochu, cut-glass, hot springs, and a famously difficult dialect, among others. A city of only 600,000, Kagoshima’s size belies its historical importance, and it remains a largely undiscovered gem. The Shiroyama observatory, perched above Terukuni shrine, provides a stunning panorama of Kagoshima, birthplace of so much of Japan. Around 1800 years ago, the Yamato, Japan’s dominant ethnic group, left southeastern Kyushu and settled in Nara, heralding the start of the country’s modern political history. 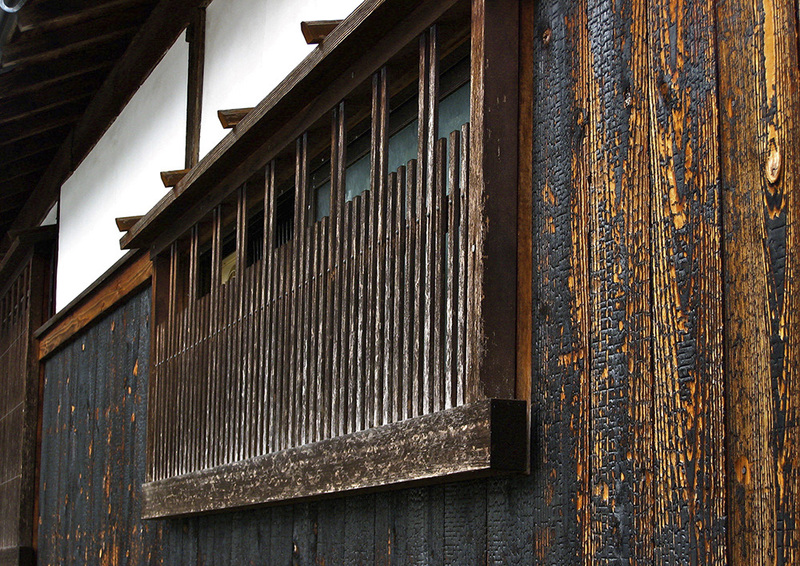 To the northeast in Miyazaki is Takachiho, birthplace of the country’s first emperor. A few hours offshore lies Tanegashima, the island where Europeans first landed in Japan, bringing firearms and Christianity, now home to the country’s space program. Not two kilometers away is the birthplace of Saigo Takamori, revolutionary and counterrevolutionary, leader of the Meiji Restoration; even closer the spot of his infamous suicide. Just out of town are the remains of the Shuseikan industrial complex, Japan’s first modern factories. From Shiroyama, site of the final battle of the Satsuma Rebellion, Sakuajima, the city’s Vesuvius, seems to float on the water, alternately quiescent and rumbling, much like the city itself throughout time. Kagoshima’s statue of Saigo Takamori sits at the southern end of a section of Nakanohirotori street known as the Culture Zone, home to monuments and museums celebrating local history, the northern end anchored by the remains of Tsurumaru castle. Farther north, on Shiroyama ridge, is a monument to Takamori’s death. Instrumental in the overthrow of the Shogun, Takamori, disaffected with the revolution, returned home and became a rebel commander, leading a force of 12,000 against the very army he had helped create 11 years ago and dying in the Battle of Shiroyama. He’s buried at Nanshu cemetery in Nanshu Park. Looking west from a Sakurajima-bound ferry, the shoreline alternates gray and green, a collection of marinas and parks. Nearly 150 years ago the British bombarded the area now known as Gion-no-Su-cho for two days in the brief Anglo- Satsuma War. In the park are two shrines, the remains of several fortifications, and, quite fittingly, a statue of Kagoshima’s Togo Heihachiro, the “Nelson of the East” and admiral of Japan’s navy in the pivotal Russo-Japanese War. Just offshore on a small island is the city’s monument to the landing of Francis Xavier in 1549. Just down the coast is the Iso district, site of Satsuma’s revolutionary factories, the Shimazu Villa, and the adjoining Sengan’en Garden, a registered place of scenic beauty. For the gastronome, Kagoshima has quite a lot to offer. The region is famous for its kurobuta (black Berkshire pig) and kuroushi (Japanese black beef) as well as its satsuma-age (fried fish sausage), eels, and local sashimi dish, kibinago. 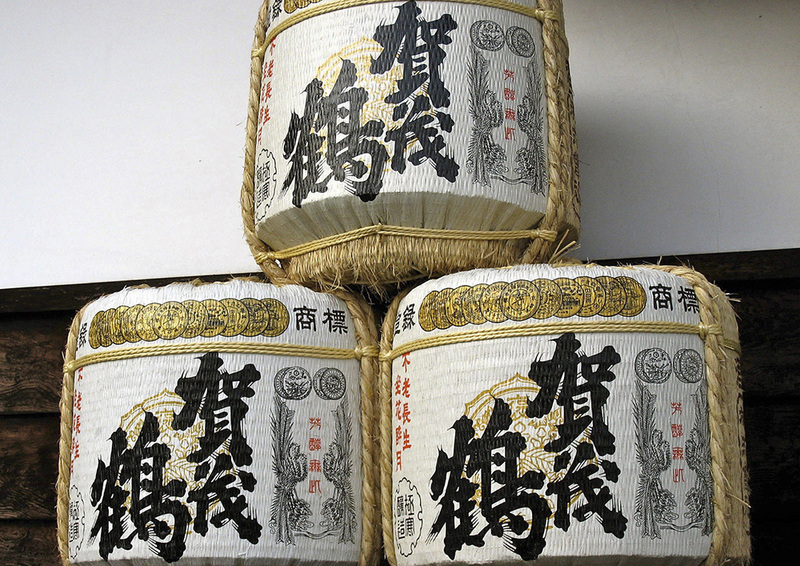 Like the rest of Kyushu, the local tipple here is shochu, not sake, a distilled spirit akin to vodka. In Kagoshima, it’s traditionally made from sweet potatoes, distinguishing it from northern styles. Ramen is popular as well and another point of pride, the dish regionally unique in its broth, toppings, and condiments.